Fantastic Khao Lak Offer: Save 20%! This Khao Lak accommodation is ideally located an hour's drive north of the Phuket International Airport. 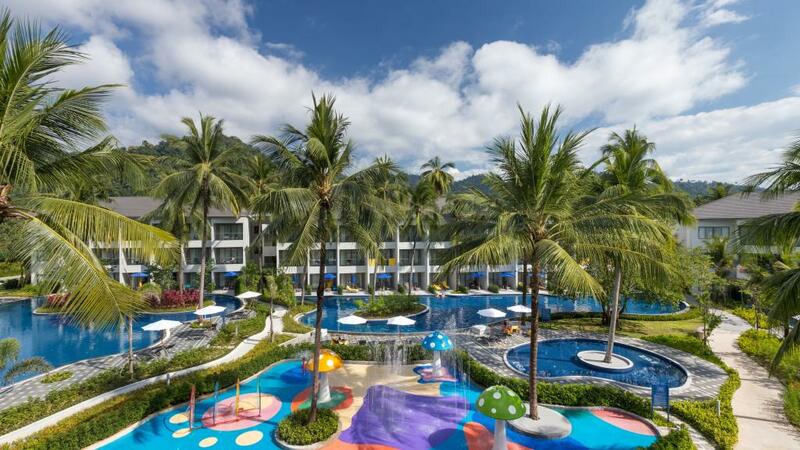 X10 Khaolak Resort is set directly on the beachfront overlooking the Andaman Sea on Lahown Beach and boasts a great selection of on site facilities for guests to enjoy including 5 swimming pools, kids club, restaurants, swim up pool bar, fitness centre, day spa and much more. Amazing Khao Lak Deal: Save 28%! X10 Khaolak Resort offers a prime beachfront location just an hour north of the Phuket International Airport. This Khao Lak accommodation features over 280 modern and spacious rooms spread across two wings while catering to the needs of couples and families. The extensive facilities at X10 Khaolak Resort will mean you wont want to leave, relax at the day spa, spend time in the sun at the five swimming pools, enjoy a bite to eat at the restaurant and refresh yourself at the swim up pool bar.